This past week was crazy busy, I am still searching for a day to get caught up on blogging and get myself back to being ahead on posts. But that doesn't look like it's going to happen for a little while. 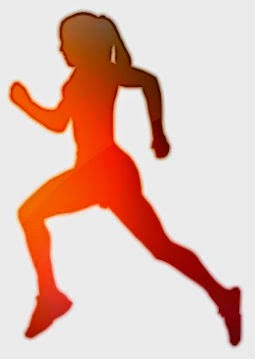 One thing that I haven't slacked on is keeping up my running, no matter how busy the days get. Higher elevation running at 7,500 feet on a relatively flat course. Hilly course with steeper inclines and declines. Legs got tired. Mostly flat course. Legs still tired. Very hilly course, first 4.5 miles all gradual and steep uphill climbing, the last 4.5 back all downhill. Ran on very tired legs, as they had been all week. Really pushed it more than normal on the uphill, which forced my lungs to really work hard and sting. Last 2 miles of the run my legs were pretty spent. This is by far the most beneficial run I have had my body to do yet. Wasn't easy, but pushing it on a tired body and pushing my lungs the way I did will help me move up in fitness level and mileage. Ended up having to work 6 hours on my feet, had a tiny tendon flare up by evening because of it. Decided since the tendon flare up from working yesterday was still a bit more swollen than normal to hold back and let the inflammation go back down to a manageable level. I'll recover and start on fresh on Monday. Overall, I am pretty happy about the week. 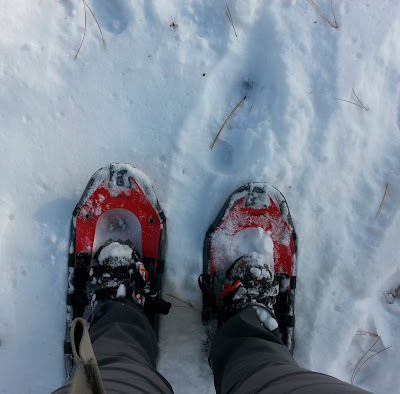 My legs felt tired almost each day, which for me was a blessing in disguise because it allowed me to really push them. Which is only going to benefit me in the coming weeks! So I really couldn't of asked for a better week. I am really enjoying getting back into a steady lower mileage routine with a few medium mileage days in between. Listening to my body and the healing injuries has really been paying off. Fortunately, having many years of running behind me, helps me to know when to push things to get the biggest benefits. It also allows me the insight that eventually things will get easier and eventually I will be back to where I want to me, and hopefully even better than before! 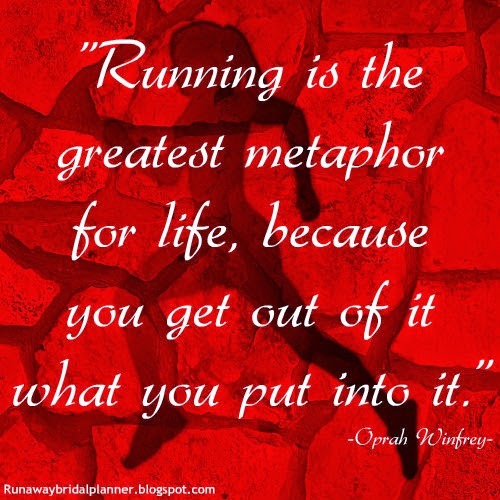 A running friend of mine who just ran a marathon last weekend heard I was running again. She said her running group always take on a fun half marathon around Thanksgiving hear in Utah. She invited me to come and run it with them if they chose one. I am currently NOT in half marathon shape, but a lot can happen in a month. I am not really going to start training for one, I am just going to continue with my own plans. 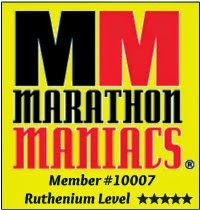 An odd fact about me; I have actually only raced eight 13.1 Half's in my entire life. 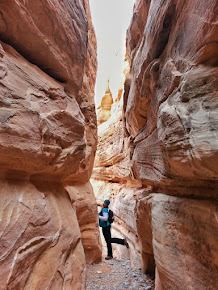 They have all been at the same race, Canyonlands Half Marathon along the Colorado River and Redrocks of Moab, Utah. Even crazier I haven't ran a Half race in probably 7 or 8 years. I have run dozens of 5k's and 10k's, but again not raced either of those distances in 8 or more years either. I spent Saturday with two adorables:) my niece and nephew. We have an amusement park in Utah called Lagoon, that during the month of October they turn it into Frightmare's for Halloween. 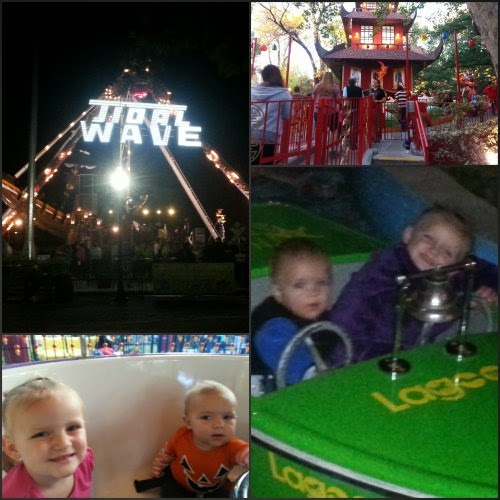 These are just a couple of fun pic's from our fun night together! Even took these cute kids in one of the adult haunted houses and they loved it. Of course I told the 3 year old that Scary was meant to be funny and laughed at. She's young enough, she bought it! The baby just thought all the loud noises and crazy scary things popping out at us were interesting as he was all smiles and wide eyes even in the dark. 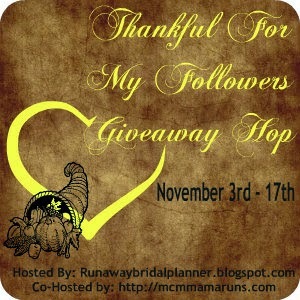 Have you signed up to join us for the Thankful For My Followers Giveaway Hop? Because this Giveaway is to thank your followers, there is no theme item for the giveaway. You can select an item(s) that you know your followers will love, after all you know them best! If you have any questions, let me know I'd be happy to answer all you have. We'd love to have as many join us for this hop as possible. You can sign up below, we would love to have you! How did your week go? Did you get some good training days in? Have you been to any fun Amusement Parks lately?